Where are you from? Your profession? Paul worked for Michigan State Parks as a ranger, the Department of Natural Resources in the Fisheries Division, as an eighth grade science teacher, and coached track and cross country. I have been a stay-at-home mom, homeschooling our eight children at different points of their education while running a small whole grain bread and cookie business out of our home. We have fostered over 45 children before adopting five. We live on 40 acres in Charlevoix, Michigan, where we raise grass fed Irish Dexter Cattle and chickens for eggs to sell. We grow a large garden and love to educate people in homesteading skills. When and how did you become interested in paddling? After the kids moved out, we had time to explore more. The Charlevoix area has many types of water to paddle. We wanted a craft that could explore the various options from lily pads in shallow waters to Lake Michigan. We decided on individual kayaks. Where is your favorite place to paddle? Wherever the water isn't frozen! What’s the most interesting thing that ever happened to you on a paddling trip? Discovering wildlife in its natural environment, as we drifted by. How many Paddle Florida trips have you gone on and to where? 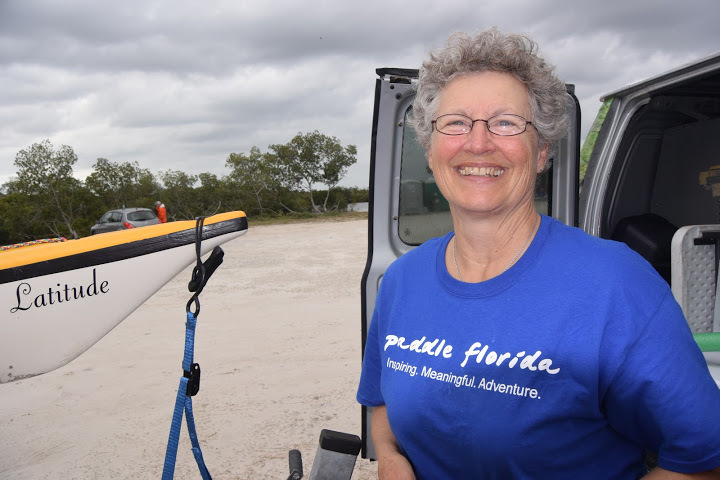 We have just completed our fourth trip with Paddle Florida. 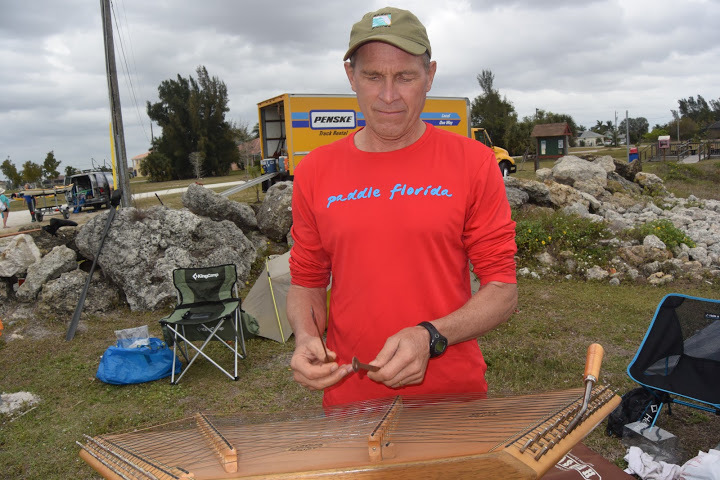 We have done the Keys Challenge twice, the Withlacoochee River, and the Great Calusa Blueway. What keeps you coming back? We love paddling with others while exploring new places. We have made many new friends and the exchange of information among paddlers is great! Can you describe a Paddle Florida trip highlight? Completing the Seven Mile Bridge crossing in the Keys with 40+ paddlers, two times! What advice do you have for folks considering a Paddle Florida trip? Gather your camping gear, your kayak, and come along on an adventure. Learn about the history of the area you paddle and be entertained by great local musicians.